For centuries, the Magdalena has stood as the last bastion of Christ’s bloodline, wielding the Spear of Destiny against the forces of evil. When Patience, the current Magdalena, is sidelined in a near-fatal battle with a demon, it falls to her to find her own replacement. Enter Maya Dos Santos—a metalhead community-college slacker—with holy blood in her veins. 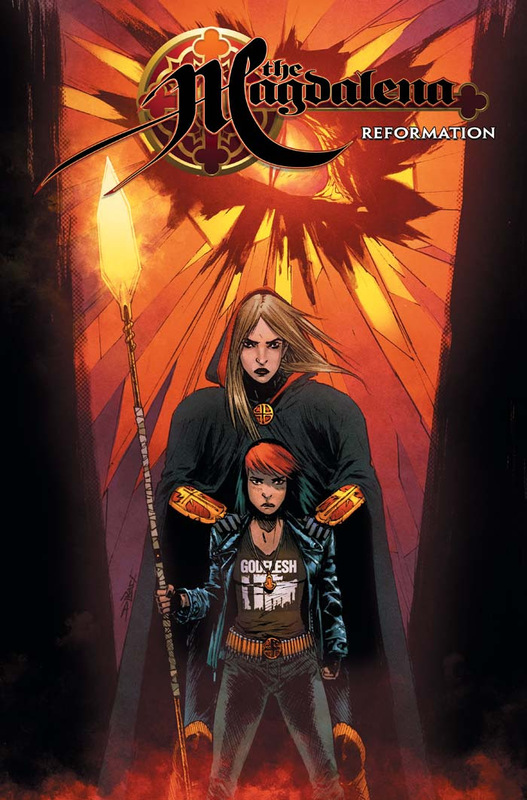 Collects MAGDALENA #1-4!